This clearly compromised due process should have been over years ago, like when my then Vice Principal Rene Martinez admitted under oath that he violated Penal Code 135 by destroying positive exculpatory student letter evidence in my favor in the earlier OAH proceeding ("A person who, knowing that any book, paper, record, instrument in writing, digital image, video recording owned by another, or other matter or thing, is about to be produced in evidence upon a trial, inquiry, or investigation, authorized by law, willfully destroys, erases, or conceals the same, with the intent to prevent it or its content from being produced, is guilty of a misdemeanor"). In my case, I was fired by the LAUSD Board without their ever being given a chance to hear me defend myself with an impartial hearing. Instead, there was an irrebutable presumption of my guilty from the beginning that never gave me the opportunity to defend myself in a legally mandated Skelly Hearing before a neutral arbitor nor did it ever consider the mountain of evidence that rather proved that I had been targeted for being a whistle blower- something never mentioned or considered in any of the District's charges against me. This has been attested to in public by Board member Richard Vladovic, who said, "He regrets the LAUSD Board always votes on teacher dismissal without ever hearing the teacher's side." It has been more than 7 years since LAUSD put me on unpaid administrative leave pending dismissal. A time in which I have renewed my credential 2 times without any timely objection by CTC or anybody else. And yet now I face belated action by CTC to lift my credential based on clearly fabricated and unverified charges of now retired Principal Janet Seary and Vice Principal Rene Martinez that would have been easily discernible as false to anybody who bothered to look at the time frame in which undisputed events have taken place that clearly show I was targeted for being a whistle blower. While the AG's office in this action is the attorney for CTC acting on behalf of LAUSD's move to belatedly remove my credential, they are also the chief legal authority in the state charged with affirmatively seeking to uncover what is clear and convincing evidence of fraud and other criminal behavior by LAUSD & CTC now trying to remove my credential after already effectively punishing and blacklisting me from the teaching profession for the last 7 years, since I was fired based on clearly fabricated charges. Is this an undisclosed conflict of interest on the part of the Attorney General's Office that effectively precludes me from getting a truly impartial hearing with an ultimate decision based on the facts or rather only the last rubber stamping of a fait accompli? If in fact I truly represented a threat to students, if my credential was not immediately lifted, why are we only now- over 7 years after LAUSD put me on unpaid administrative leave pending definitive dismissal-addressing this matter? I have been allowed to renew my credential twice without CTC or the AG's offices having taken any timely action to stop me or revoke my credential even though CTC had actual knowledge of my alleged "bad acts" from both myself and LAUSD going back to 2010- no laches or Statute of Limitations problem here? It is also worth pointing out that there are literally thousands of high seniority teachers around the State and around the country who are in exactly the same position that I am at the present time. And yet neither the AG's office nor any other local, state or national law enforcement agency has seen fit to do anything to impede what can only be called a massive witch hunt being brought against these mostly high seniority- and more expensive teachers- in unprecedented numbers for standing against corruption or for the mere fact that the district they work for is able to save a great deal of money by getting rid of them by hook or by crook and subsequently hiring Emergency Credentialed teachers at a fraction of the cost. Former CTC attorney Kathleen Carroll made the same point and was also targeted and removed from her lawyer position at CTC for refusing to lift the credentials of teachers she deemed innocent of any wrongdoing. Ms. Carroll has recently won a $2.8 million lawsuit in vindication of her earlier actions and in defense against her wrongful termination. In June 2007, I applied for an out of classroom position that was given to Nestor Albert Vargas, who was an objectively unqualified substitute teacher with an emergency credential that expired 7/1/07. Principal Seary nonetheless gave him the position over Mr. Perez and myself, the only 2 qualified candidates. My objection to this started Principal Seary's subsequent war against me that ultimately lead to my dismissal and now seeks to finish the job by taking my credential. On 5/28/14 my attorney Ron Lapekas wrote a letter to CTC's Ani Kindall challenging their jurisdiction for lack of verified charges. Without a requirement for verification of charges made under penalty of perjury, what is the downside for LAUSD's Janet Seary and Rene Martinez fabricating charges against me or any of the other thousands of teachers and other high seniority employees LAUSD has and continues to unjustly target and remove with clearly fabricated charges, if anybody bothered to look? Fixing attendance to carry students as present who were not in class and in the process changing the attendance records of the official school time keeper Tammy Williams. This clearly defrauds both the State and federal government in terms of the amount of money they pay LAUSD for Average Daily Attendance and other monies that rely on accurate attendance. Although students did little or no work in these Continuation School classes predominantly occupied by low-functioning students who had for the most part been thrown out of every prior school they attended, Principal Seary and her vice principals Rene Martinez and Janine Antoine intimidated and threatened teachers who would not give undeserved passing grades to these students. Antoine even alleged in writing that teachers did not have the right to fail a student under any circumstances, even though this was contradicted by the very authority she cited in her email to me. The independently verifiable 70% of students arriving at community colleges today without the ability to pass an initial placement examination at a level supposedly subsumed under a high school diploma that seems now to not be worth the paper it is written on supports my contention of grade fixing by Principal Seary and many others like her. Furthermore, the grossly inadequate academic level of students going to the California State College system who are not at grade-level is presently 30% of those applying. This also substantiates my allegation of fraud by administrators at LAUSD and elsewhere that coerce teachers into giving passing grades that in no way represent actual work done or students' actual academic level. Principal Seary tried to displace me from my teaching position to get rid of me, even though there were 14 other teachers at my school with significantly less seniority. She even gave preference over me to substitutes with no seniority, who were only working on a 30 day Emergency Credential, who should have been the first displaced, but never were. This is further illustrated by Principal Seary's blocking my appointment to an out-of-classroom administrative coordinator position, which she first gave to Mr. Nestor Albert Vargas an unqualified Emergency Credentialed substitute and then to a person who was initially on the out-of-classroom administrative selection committee. Camere Solis who sat on the same selection committee stated at my Public Employee Relations Board (PERB) action that, "principals do what they want irrespective of the aforementioned obligations of LAUSD regulations or collective bargaining agreement to choose an out-of-classroom coordinator only from qualified applicants." On 9/19/07 in an email Terri Fesperman of CTC was asked to give the name of their investigator who had supposedly determined that Vargas was qualified for the out of classroom position. Neither she nor anybody else ever did. I filled a PERB action against LAUSD 8/7/2008 against the illegal acts and omissions of Principal Seary, David Vidaurrazaga , Dominic Sistone, and the nonfeasance of their LAUSD superiors. Is this not even worth the consideration of this hearing as to whether the present action to belatedly lift my credential is just more retaliation? Renting my classroom site in a commercial building in the midst of a recession on Wilshire Blvd for $3700 a month for a 3 room space with no windows and which the previous printer leasee paid only $1400 should have put somebody on at least inquiry notice as to what was going on. I reported this to then Assistant Mayor Ramon Cortines (and the mayor's attorney Tom Saenz), who was of the L.A. Mayor office at the time, who subsequently became LAUSD Superintendent. Although I was assured by his assistant who came out to the Wilshire classroom site that something would be done, I never heard from these people or anybody else in authority and was subsequently targeted for removal based on charges fabricated by Principal Seary that I was a racist. Were these charges a result of my being a whistle blower? It is also worth mentioning that on July 6, 2007 Principal Seary gave me the best letter of recommendation I have ever received approximately a year or so before she started to move for my dismissal based on fabricated charges in complete derogation of the praise she gave me in the letter of recommendation. In retrospect I think this was just an attempt to just get rid of me. On 11/23/09 I filed a whistle blower complaint with Maria Kress of the LAUSD Office of Inspector General who sat on this complaint without doing anything. When it was finally investigated months later, Mr. Johnson of the LAUSD Inspector General's Office gave my complaint to Principal Janet Seary and her immediate superior Jan Davis to investigate, even though they were themselves the subject of my whistle blower complaint. Since when is it okay for the subjects of a whistle blower complaint to be the only investigators of their own alleged malfeasance? It is also worth mentioning that I filed formal complaints with L.A. County, DFEH, State of CA Industrial Relations and other agencies that only issued a right to sue. No further action was taken by any of these organizations, because as I later found out, they do not have the budget to do so, even though they are constantly getting a huge number of complaints exactly like mine. It is also worth mentioning that when my Principal Janet Seary gave me a supposed due process hearing in which she found against me and imposed 30 days of suspension, that her immediate superior Jan Davis had already signed off on the hearing and its findings close to 2 months before the hearing ever took place. This is due process? Although the California Attorney General's Office is the attorney of record for state agencies like CTC in this action, one would also think that as chief legal authority in the State of California they would also be on at the very least inquiry notice as to the egregious, obvious, and often criminally felonious behavior of both CTC and LAUSD, which they have engaged in in targeting any teacher or other employee who dares to object to the dishonest and often criminal behavior that these and other organizations continue to engage in. The facts that CTC past Chief Legal Counsel Kathleen Carroll has recently won a $2.8 million lawsuit after having been targeted for objecting to some of the same behavior I am citing here should be relevant, but somehow goes unaddressed by the AG's Office or any other legal entity state or federal charged with so investigating. A purposefully protracted administrative legal process designed to punish and demoralize teachers and others so targeted is all the more reprehensible, when one realizes that CTC, LAUSD, and other entities have literally made no attempt to hide their openly illegal and harassing behavior. It is not a coincidence that a super majority of all teachers who have been targeted for removal from their careers in education are over 40 and at the top of the salary scale, which is a statistical impossibility, which would require one to believe that those with greatest tenure and experience are somehow the most incompetent? The fact that LAUSD and districts like it around the state and around the country save approximately $60,000 in combined salary and benefits in just the first year that they get rid of high seniority teachers seems never to be addressed as even a possible motive for LAUSD's clearly illegal behavior that they literally make no attempt to hide, but which never seems to be delved into by entities like the Attorney General's office or local district attorneys charged with at least investigating such alleged corruption and other illegal behavior. One would think that the AG's office should at least be on inquiry notice as to why then Assistant Principal Rene Martinez is the only witness in this new procedure being called to testify, when Principal Seary was the moving force behind my dismissal from LAUSD. Don't I have a right to cross examine people like Martinez as to why he destroyed exculpatory evidence? Although Principal Seary once told me she could not afford to retire, because she had started teaching too late, several years ago she retired. Could this have anything to do with her being forced into retirement by LAUSD for other questionable actions like the ones I cited in my whistle blower complaint dealing with the rental of my classroom site on Wilshire Blvd at a clearly inflated price? What would it take for the AG's office to investigate this or is their undisclosed conflict of interest as CTC counsel and chief law enforcement officer precluding them from doing their primary duty job as chief California law enforcement entity? When I was about 10 years old my family moved from the predominantly Jewish Beverly-Fairfax neighborhood in Los Angeles to Northridge in the San Fernando Valley, where I experienced antisemitism for the first time. At that time I talked to my dad about why people hated and discriminated against other people. I also asked him why the Jewish people we knew for the most part were so involved and against such discrimination, which was at the time predominantly against African Americans and Latinos. I have never forgotten what he said to me in answering: "If you do nothing when it is done to somebody else, you have nobody to blame, when the same thing is done to you." This has been the guiding principal of my life and why I got into teaching in the first place to redress the racist public- and still segregated- education system that literally makes no good faith attempt to educate most African American and Latinos in school districts like LAUSD that are close to 90% African American and Latino and remain de facto segregated 64 years after Brown vs. Board of Education said, "Separate but equal...is inherently unequal." For refusing to back down and go along with this yet racist public education system, I have, ironically, been labeled a racist and fired by LAUSD and completely blacklisted with other districts, so that the objective value of my teaching credential to this 70 year-old man is really very little and probably not financially worth the cost of fighting for it in this hearing. But I don't believe this racist public education system will survive for much longer. And it is important for the future to build a legal record as to when the sad reality of this yet racist system was known- and what was done about it- in order to ultimately turn it around. Then we finally might be able to make America great...for all Americans. In passing, it might be worth mentioning that I have lived for years with Anthony Holland, who is African American and Puerto Rican and now with Fernando Morales, who is of Venezuelan origin. In complete and utter derogation of my close to 30 year exemplary teaching career, the Assistant Attorneys General on behalf of CTC have made a case against me based exclusively on clearly fabricated charges of me being a racist- these charges made up by Central High School Tri-Cs Principal Janet Seary and her Assistant Principal Rene Martinez. Literally none of these charges are true. What is self-evident about these charges and the way they have been handled is that there has been literally no independent investigation of any of these charges by any entity that is not either a part of LAUSD or by any other organization that did not from the inception of these charges do anything to independently verify them, but rather assumed without question that they were true- even though such an independent cursory investigation would have easily negated all of these charges. 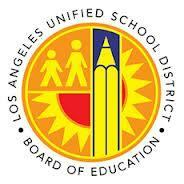 I started teaching for LAUSD in 1986 as a substitute teacher on an Emergency Credential. From the day I started, I worked almost every day, because I was willing to go to the most problematic schools like Dorsey High School, Locke High School, and innercity schools, which always had a high absence rate of regular teachers precipitated by unaddressed student bad behavior, which also made these schools less than desirable for substitutes. I will never forget my first day teaching at a middle school in the Crenshaw district. When I walked by a classroom, I saw that the teacher was showing the students the film RoboCop. The first thought that occurred to me was what possible educational value could showing this movie have for students? As I subbed at more and more predominantly innercity schools that were and are still populated with almost exclusively African American and Latino students, what I discovered was that this form of movie daycare, where literally no attempt was made to educate these significantly behind grade-level students, was- and is- the rule and not the exception. It was clear that the reason that these innercity teachers were taking so many sick days- even beyond the ones they were allowed- was because they were put in the untenable position of trying to teach students who were profoundly behind grade-level with literally no support from administration- either the schools' or the District's. These students had and continue to this day to be socially promoted to higher and higher grade levels without even basic mastery of prior grade-level course standards. This in complete derogation of their actual grade-level mastery of standards and to a point of where the very act of trying to educate them without these prerequisites only serves to humiliate them in front of their peers. The predictable result was an acting out and misbehavior that literally made it impossible to teach even those students that wanted to learn. At one point I was given an assignment at Mark Twain MS, where the principal Lessie Caballero refused to remove students from my class who openly said, "We're not going to do any work nor are we going to allow anybody else to." It is worth mentioning that I was told Principal Caballero had been a kindergarten teacher who miraculously moved up to become a high school principal, when she married an assistant LAUSD superintendent. In trying to educate all students the way I had been educated in an LAUSD of the late 1950s and 1960s, where critical thinking skills were emphasized and the education process was a dialogue- constantly checking in real time for comprehension- I was often confronted with comments like that of my African-American principal at Dorsey HS who said, "Mr. Isenberg, this is a black school," where she seemed to have no expectation that my students could learn, while she did her 2 years at Dorsey before moving on in her career to the LAUSD Beaudry headquarters. In discussing this with other subs, I remember a Japanese-American and Korean-American science and math teacher respectively saying that their Latino principals at different schools accused them both of "not being culturally sensitive" for trying to educate their students in the same critical thinking manner in which they had been educated. Somehow people whose ancestors who had built an empire that lasted much longer than the Roman Empire could now not be educated, despite a bilingual advantage that made their mastery of all languages at least theoretically easier. In getting a Preliminary Teaching Credential at Cal State L.A., I also noticed that at least 50% of the classes required dealt with behavior and had little concern for the pedagogy that one would think was needed for mastering, addressing, and succeeding with the education of predominantly minority students, who were for the most part behind grade-level through no fault of their own. Irrespective of their easily verifiable individual subjective academic levels, virtually all of these students had been and continue to be socially promoted with their age group, even though they are for the most part profoundly behind grade-level. And, of course, this is still the easily verifiable academic reality of LAUSD. On finally taking a full-time teaching position at predominantly White Palisades Charter High School, I clearly saw a different reality in how at least the White students and at grade-level Black and Latino students were educated. But when it came to the behind grade-level minority students- who after getting up early in the morning in the inner city to arrive at Pali on time- they were promptly resegregated in low-functioning classes no better than the ones they had left in their inner city neighborhoods of origin. What seemed clear was that their Average Daily Attendance money was being used to subsidize White education on the Westside of L.A. in one of the few White majority schools like Palisades Charter HS. So when Palisades community member David Eagle asked me to come with him as teacher and vice principal to his newly formed New West Charter MS, I didn't hesitate for even a moment to join him at a school that accepted 55% African American students in its first class. But while David Eagle and Principal Don Gill were willing to initially take on minority students, they were not either capable or willing to deal with the problems of longstanding academic neglect these students predictably brought with them and their being profoundly behind grade-level. So when one of these students was "opportunity transferred" out of my class and back to their school of origin without telling me or giving me a chance to address their deficits in a productive manner, I left New West. In preparing for this hearing, I recalled my initial attitude in dealing with Principal Seary and VP Rene Martinez. I thought their corrupt acts would never stand and that all I would have to do is move up the administrative chain of command at LAUSD until I found honest people who would do the right thing. As of this writing I have yet to find such folks willing to put their careers on the line by going against the dominant corrupt actions that now clearly dominate LAUSD and other governmental organizations around the state and federal government that allow it to continue. In addition, the co-option of both commercial and public media by corporations and corporate controlled foundations rapidly moving to privatize public education with charters have made it impossible for the general public to know what is going on in places like LAUSD, unless they have their own children in these schools. Even though LAUSD makes no attempt to hide what they are doing- for anybody who bothered to look- for the last 40 years, nobody in the media has been looking. So it is understandble if the general (White) public doesn't have a clue that this is going on.